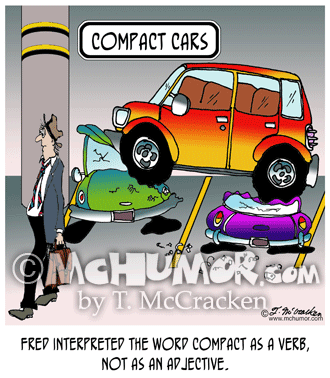 Parking Lot cartoon 7720: "Fred interpreted the word compact as a verb, not as an adjective." 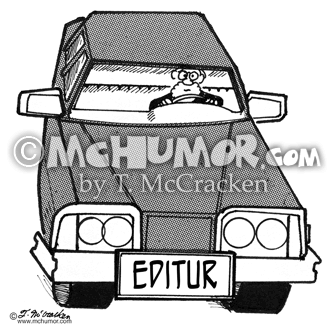 In a parking garage with a sign, "Compact Cars," a man has used his huge SUV to squash two smaller cars. 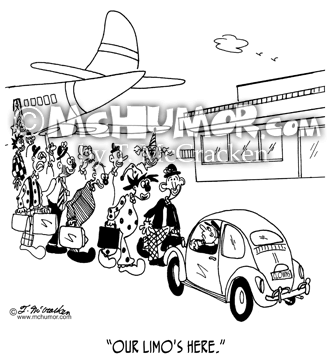 Circus Cartoon 5132: One of a hundred clowns at an airport looking at a VW Bug and saying, "Our limo's here." 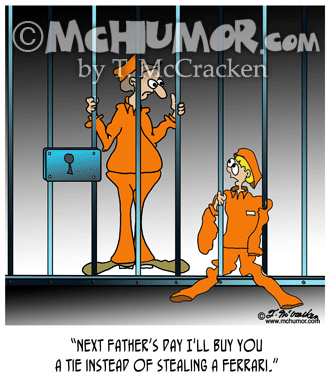 Father Cartoon 8612: A kid sharing a jail cell with a man says, "Next Father"s day I'll buy you a tie instead of stealing a Ferrari." 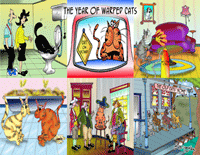 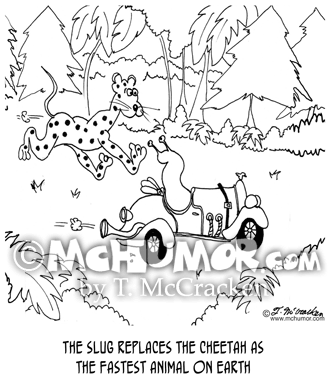 Hybrid Cartoon 8349: "Fred developed a hybrid-hybrid bio-diesel car." 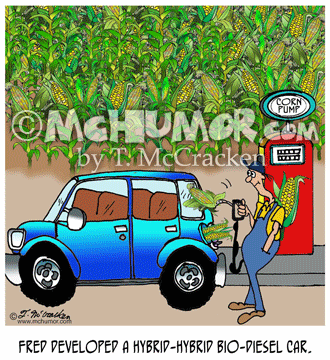 A farmer in front of a field of corn and a gas pump that's pumping ears of corn right into a car. 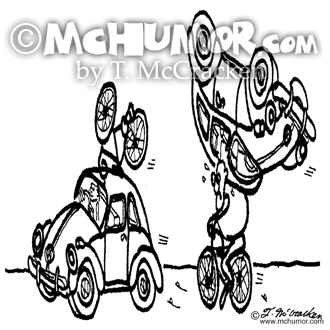 Bike Cartoon 1646: A bike is on the roof of a VW bug while a biker has an upside down VW on his back. 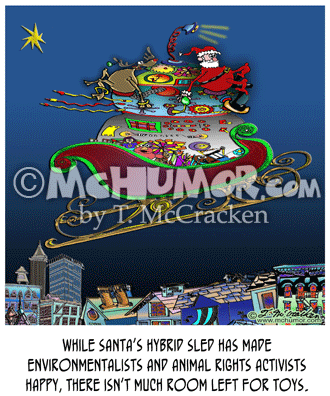 Christmas Cartoon 8317: "While Santa's Hybrid Sled has made environmentalists and animal rights activists happy, there isn't much room left for toys." 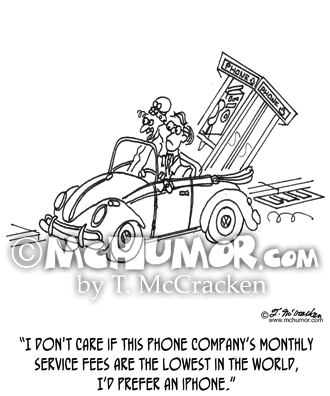 Santa and Rudolph sit atop a humongous bizarre gizmo in a sled. 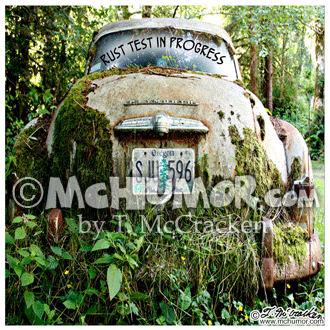 Car Cartoon 8529: “Rust Test in Progress.” An old car is rotting in a forest.